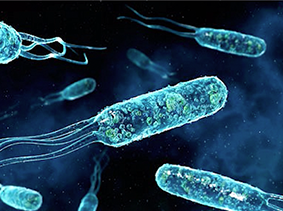 E. Coli: a toxic bacteria which may be found in trace amounts in your body right now. 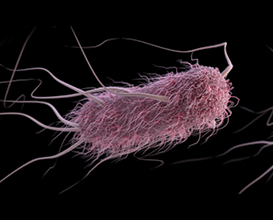 E. Coli is a very dangerous form of bad bacteria. Which can cause severe disease...including bloody diarrhea, kidney failure...even death. And if you eat meat at least once a week, there’s an even higher chance this problem affects you, because of the way livestock is raised. And if that’s the case, then you should know your health issues are no fault of your own...nor is your failure to correct them through traditional methods. But it also won’t get fixed no matter how much you exercise, or what diet you go on next. 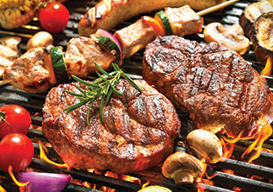 If you eat meat at least once a week, you have a higher risk of being affected by dozens of toxic bacteria. It’s a thoroughly modern method of cleaning out your system. It also works fast – making it possible to begin experiencing relief from each and every one of the symptoms I just mentioned within a matter of hours, not days. However, this simple solution – which literally takes less than 30 seconds a day – goes even further...and has been proven to actually enhance the benefits of probiotics! And yes...they even find they’re finally able to slim down after years of frustration. But the best part? This scientific breakthrough can be utilized by ordinary people just like you in the comfort of your own home. When many of them had already given up hope. Today, I have my own successful practice in Los Angeles. 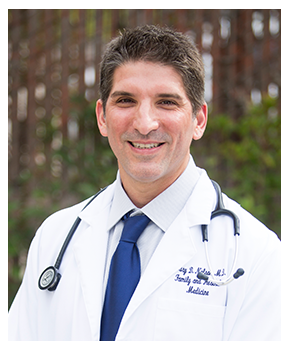 The vast majority of my patients come to me suffering from some sort of digestive issue, or a lack of energy...which in most cases, is directly linked to digestion. As I mentioned, in the past I’ve always recommend they take probiotics – which, if you’re not familiar, are clusters of friendly bacteria that rebalance your gut flora and help you better digest your food. Most of my patients who didn't experience amazing results with probiotics were making three big mistakes in their diet. However, I found that while probiotics worked wonders for many of them...some of my patients didn’t experience quite as much of a game-changing effect as others. When I asked these patients what they were eating, I discovered they all had very similar dietary patterns...patterns that are extremely common amongst Americans. And I can almost guarantee you’re eating at least two of them much more than you should. Instead, these Anti-Foods feed your bad bacteria instead of feeding you...draining you of energy, causing you to have unhealthy cravings, and clogging up your system. You see, your gut is home to some 100 trillion microbes of bacteria...which make up as much as 3 pounds of your body weight. The anti-foods in your diet feed your bad bacteria...draining your energy and causing you to crave unhealthy & fattening foods. Most of these bacteria are friendly, and essential for helping you digest your food and keep your system running smoothly – let’s call them the good bacteria. As you know, some of the bacteria isn’t very friendly...but what you may not know is that some “bad bacteria” is perfectly normal, and won’t really cause any problems...so long as it’s kept in check. 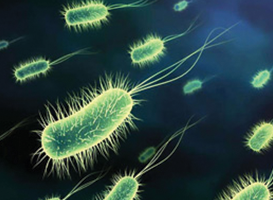 The ideal ratio of good to bad bacteria is 80/20. 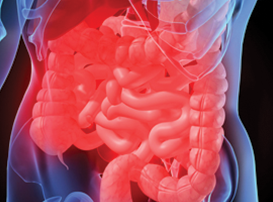 If you're having persistent digestive problems, your bad bacteria is out of control. As a general rule, white-box have determined that a ratio of about 80% good bacteria to 20% bad bacteria is what you need to be healthy. And that’s when you start having issues. So even if you’re eating right...the vitamins and minerals in that healthy food isn’t getting to your heart, brain, skin, hair, and wherever else it’s supposed to go. And it’s all a result of what’s going on in your digestive system. All health begins in the gut. 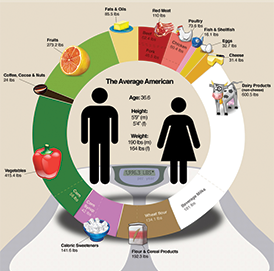 Is exactly what’s found in the typical American diet. I’m going to reveal 3 Anti-Foods you’re likely consuming on a daily basis...that are secretly derailing your own health...without you even knowing about it. And when we consume them, we’re really feeding the bad bacteria just as much as we’re feeding ourselves...if not more. 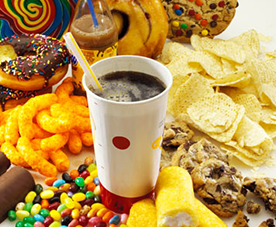 The 3 anti-foods you're eating on a regular basis are hijacking your cravings and wrecking your gut. When it’s really them that want more of it. But the dangerous bad bacteria inside you, telling your brain you want it...just so it can grow stronger, and do more damage to your system! So what are these Anti-Foods that allow bad bacteria to reprogram your wiring so dangerously? These foods are packed with artificial preservatives, which act as fuel for the bad bacteria in your gut. For instance, preservatives are added to ice cream to make it smoother, and to mayonnaise to keep it from separating. 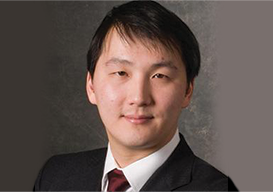 These artificial preservatives could increase the risk of inflammatory bowel diseases and metabolic disorders - such as obesity and diabetes – by destroying bacterial diversity in the digestive system. Because when new additives are developed, they are tested on large segments of the population...meaning that some people who might be particularly sensitive to these chemicals could be overlooked. 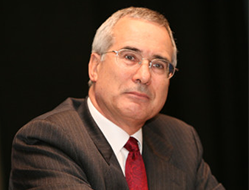 The idea that a subset of the population may be sensitive isn’t on the radar [of the preservative manufacturers] ... 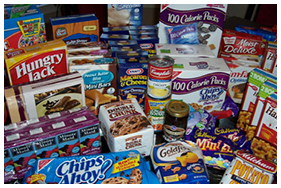 When it comes to people making their own decisions...it’s better to eat less processed food. 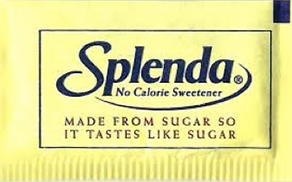 Splenda is the leading artificial sweetener on the market today, with $288 million worth of sales in 2012. It has become wildly popular in the last decade or so, primarily because it is incredibly sweet, but has no caloric content...which means most people think it’s a healthy substitute for sugar in their coffee. Splenda: This artificial sweetener disrupts the bacteria in your gut, which can cause dangerous metabolic diseases. Another study from last year found that artificial sweeteners such as sucralose can cause metabolic diseases by changing the make-up of bacteria in the gut. One pack of Splenda kills off 50% of the normal bacteria in your gut... When you put that in your coffee this morning, you just swallowed an A-bomb that destroyed your rainforest. And in addition to coffee, sucralose is also used to sweeten diet sodas...in fact, Diet Coke even advertises their use of Splenda right on the can, because it’s mistakenly thought to be so healthy. But several studies have recently shown a disturbing link between diet sodas and weight gain, obesity and diabetes. While those who drank at least one diet soda a day said their waistlines balloon over 3 inches. 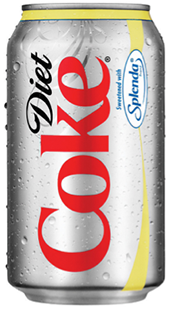 The San Antonio Diet Study of 2015 found that diet soda drinkers gained more weight than non-drinkers. Added over three times more to their waistlines than those who did not. Because it is up to 1,000 times sweeter than other artificial sweeteners, such as sucrose. All of which adds up to making Splenda the most dangerous Anti-Food masquerading as something good for you. But as bad as these first two Anti-Foods are...the third one may be even worse. At least artificial preservatives and sweeteners – such as Splenda – are exactly that: artificial. They’re chemicals, made in a lab...so it’s not terribly surprising to learn that they could do damage to your health. Did you know that the vast majority of farm-raised animals you eat are treated with antibiotics to make them grow faster? 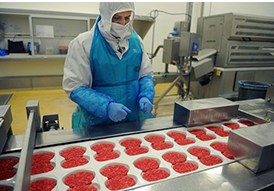 In fact, 80% of the antibiotics sold in the US are used in meat and poultry production. 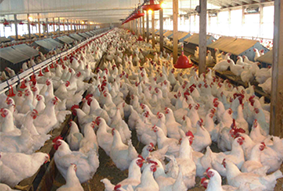 The vast majority of the meat and poultry you eat is treated with antibiotics. 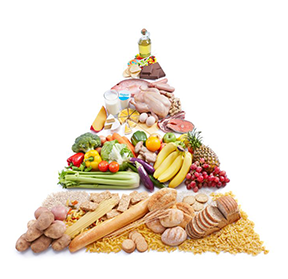 Which can take you years to get back to a healthy ratio. Because they’ve taken out all their good bacteria along with the bad. Then there’s a chance the antibiotics these animals are treated with are ending up in your digestive tract...killing off your good bacteria...and throwing your bacterial balance off course. Antibiotics in our meat supply can end up in your gut, killing off your "good" bacteria. 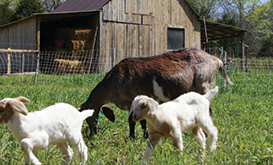 In fact, the outbreaks of E.Coli that happen every year are often traced back to farm-raised livestock...as the bacteria living in these animals become resistant to the antibiotics over time. And the conclusions were disturbing, to say the least. 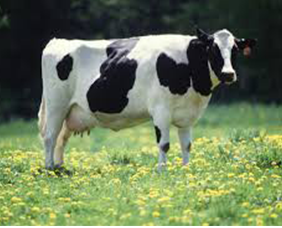 I find it staggering that in many countries, most of the consumption of antibiotics is in animals rather than humans. This creates a big resistance risk for everyone. Never was this point proven more clearly than in the shocking story of... The McDonald’s Experiment. 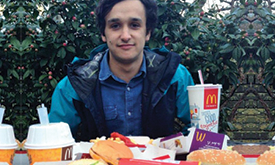 Back in 2014, a professor at Kings College London named Tim Spector decided to partner with his son, Tom – a college student – to explore how diet can affect gut microbiodiversity – in other words, the types of bacteria in the digestive system. 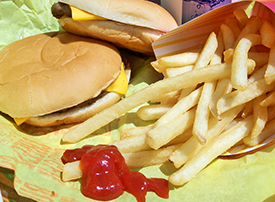 Kings College London studied the health effects of eating McDonald's for 10 days. The results were shocking. So, they decided Tom would eat nothing but McDonald’s for a full ten days. Questionable parenting aside, Tom began eating nothing but McDonald’s, with the idea that his father would scientifically assess his health at the end of the experiment. However, according to Tom, it only took six days to start experiencing definitive health problems. I was feeling really tired and lethargic, and I had trouble sleeping... I like to think I have a good metabolism, but my body was having a hard time processing all the sugar and fat. As the days wore on, Tom reported having “food hangovers” for hours after each meal, leaving him feeling sick and moody. Yet he still had cravings – his body was responding much the way an alcoholic’s does to booze. By the end, Tom became extremely constipated – unable to go to the bathroom for two days – making it difficult to even test the results of the experiment. Following the 10-day experiment...Tom had lost 1,400 of them!!! Just by virtue of living and eating in the United States. In fact – like diet soda – many foods you might consider “healthy” are actually Trojan horses filled with these harmful ingredients. For reference, the American Heart Association recommends we consume no more than 25 grams of added sugar for women, and 36 grams for men – per day. So if just that one small cup of “healthy” yogurt accounts for over a third of your daily recommended sugar consumption...imagine what’s in the rest of your food! 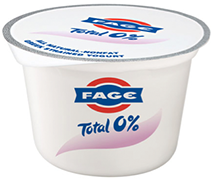 This tiny cup of yogurt contains a whopping 9 grams of sugar...that's over 1/3 of your entire daily recommended sugar count! That’s why over 70% of Americans consume at least 91 grams of added sugar a day – and most don’t even realize it! Chances are, you’re upsetting your bacterial balance in the exact same way – not over ten days...but over years and years of eating foods containing the ingredients bad bacteria love. 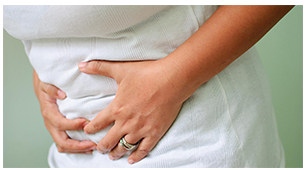 Do you get indigestion after eating certain foods? Do you get moody, stressed, or irritated for no real reason? 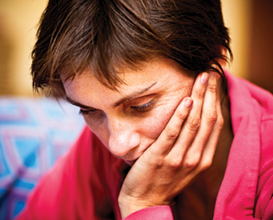 Do you find yourself feeling lethargic, without the energy you need to get through the day? Do you put on weight and find it impossible to get rid of? And without correcting this imbalance...your problems are only going to get worse. The Good News Is...You Can Reverse The Damage – Fast! So now, let’s talk about how exactly you can correct your bacterial imbalance...and get you back into tip-top shape. The most straightforward way to straighten out your digestive system is to immediately stop eating anything bad bacteria thrive on. One way to repair your digestive system is to completely stop eating anything that feeds your bad bacteria...which includes MOST of your favorite foods. That means cutting out as much sugar and artificial sweeteners as you can. No more ice cream, candy, diet soda or pastries. No bacon or salami. Chicken and red meat once in awhile. Forget about most cheeses. All of which are pure fuel for bad bacteria...so I’m afraid you’ll have to say goodbye. Now, let me stop here for a moment...because if you’re anything like me, you’re probably starting to freak out a little. But meat? Cheese? Bread??? I’m basically telling you never to eat another sandwich! What’s left? Veggies and seeds? And really, why would you want to? If all you can eat to be healthy is salad and fish...is that really the way you want to live? For me at least, the answer is definitely not. I truly enjoy food...and even though I’m a doctor and do my best to eat healthy... I don’t want to have to feel guilty for going to a restaurant and having the occasional burger and fries. Cutting out everything but salads, veggies, and fish is totally unrealistic. This is a phage – a microscopic protein designed to destroy the bad bacteria in your gut. It’s called a bacteriophage...or phage, for short. It’s a specially engineered, microscopic protein that is designed specifically to target and destroy bad bacteria in your digestive tract. 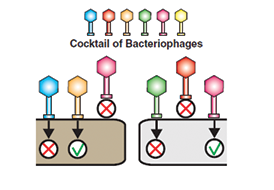 Here, the phage attaches itself to a "bad" bacteria cell. While at the same time, releasing a flurry of the newly created phage into your digestive system, which serves as nutrients that your good bacteria can feed on. In 1915, French-Canadian scientist Félix d’Hérelle used a phage to treat a child suffering from a severe bacterial infection. The boy recovered after just a few days. 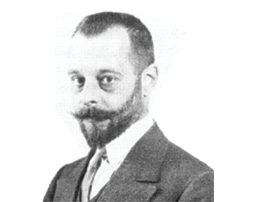 Phages were actually first discovered over 100 years ago, way back in 1915, when French-Canadian scientist Félix d’Hérelle observed a bacteria-killing microbe at the Pasteur Institute in Paris. The boy’s symptoms ceased after just a single administration of d’Hérelle’s anti-dysentery phage...and he fully recovered within a few days. And while phages began making an appearance again in the 1920s and ‘30s...they were ultimately abandoned by Western medicine, because of the growing popularity of antibiotics...which are easier to make and store. 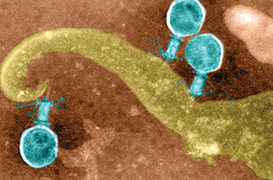 While phages are designed to specifically target only bad bacteria. Today, however, phages are making a big comeback...primarily because antibiotics are becoming less and less effective, as bacteria have grown more resistant to the – as in the case of farm-raised meat. We badly need new antimicrobial treatments, but there aren't that many coming down the pipeline... Bacteriophages are a largely untapped resource for that. 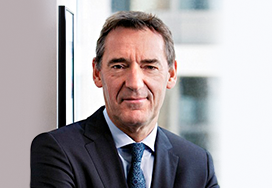 Phages have shown great success in treating all manner of bacterial problems – from eye infections to lung infections...from meningitis in newborn babies to E. Coli in the digestive system. A success rate so high, it was determined antibiotics were no longer necessary to cure the children. In the last few years, scientists have gotten even more sophisticated at engineering phages to clean the bad bacteria out of your system. The science of creating phages to eliminate bad bacteria has become more hi-tech and more effective. That company is Probiotic America. Probiotic America is a lab and research facility based in Southern California...and for the past several years, we have consistently been on the forefront of bringing cutting-edge health solutions to the public. We spent years studying phage research before engineering new phages of our own. 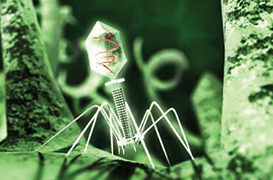 In Sept. 2014, we developed the "perfect" phage. Before embarking on engineering new phages of our own, specifically targeting the bacteria that are the most destructive towards digestive health. Our new phage formula has been clinically proven to increase your "good" bacteria by over 7,000%. This newly designed phage is so effective, it is clinically proven to increase your digestive system’s quantities of beneficial bacteria by over 7000% -- that’s over 70 times more good bacteria, through this solution alone! Those are off-the-charts numbers...never before has there been a phage this powerful. 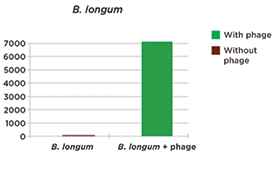 The most efficient, effective, and fastest-acting phage ever developed. Not only is it much easier than cutting all the foods you love out of your diet...it also works much quicker...so you experience relief the same day you take it. Well – all those digestive problems, for starters. Your digestive problems will start settling down immediately, as you begin to digest your food the way your system was designed to. Because when your digestive system is working properly, it efficiently extracts all the nutrients in your food, and delivers them wherever they need to go in your body. Perfect Flora helps enhance your immune system, keeping away infection to make sure you stay healthy. This means you’ll have a stronger immune system, properly equipped to keep you healthy and strong...instead of easily falling prey to whatever virus happens to be going around. It means you’ll have a lot more energy – both physical and mental – so you can accomplish more with your day, instead of feeling exhausted and putting things off for another time. Perfect Flora helps you enjoy the foods you love WITHOUT the digestive problems, fatigue, or unhealthy cravings you've been experiencing. It means feeling more upbeat and positive – both with yourself and those around you – instead of getting easily irritated or depressed for no real reason. And it also means being able to eat more of the foods you want, without the worry that they’re going to cause you problems. No crazy diets. No cutting out everything that makes food taste good. Your metabolism increases, and you burn energy more efficiently...instead of storing those calories as excess fat. As I mentioned earlier, the root of all health is your digestive system. When your gut is healthy, the rest of your body follows – from the hair on your head to the skin on your toes. And the bottom line is, when all your systems are working the way they’re designed to – like a well-oiled machine – you’ll experience a happiness you’ve been living without for years...or some cases....decades. As Perfect Flora can actually enhance the benefits you’re already getting from your probiotic. It’s like supplying your troops with the latest weapons technology...so Perfect Flora combined with probiotics is like a 1-2 punch to your bad bacteria, and can really take your gut health to the next level! Perfect Flora targets and destroys only the bad bacteria...leaving the good bacteria to help you stay healthy. It goes to work killing off bad bacteria immediately, meaning you’ll begin noticing results within hours...whereas other phages can take days or even weeks to produce results. It only takes a small amount to be just as effective as other phages that require a much higher dose. They’re much more likely to forget to take a dose...which makes the doses they do take much less likely to be effective. With Perfect Flora, all you need is one capsule a day, and you’re set. No carrying around the bottle, or portioning out doses in a pillbox that you have to remember to take at different times. Because it is not fiber- or starch-based, Perfect Flora is not limited by any of these drawbacks. And the quickest path you can take to free yourself of digestive issues, low energy, and fitness frustration – right away. Is Perfect Flora Right For You? Now, I want you to ask yourself – honestly – if you really feel as consistently strong and healthy as you should. If you feel sluggish and drained after eating, your body is simply not digesting food properly. Food should give you vital energy! 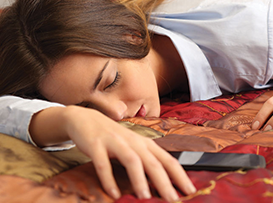 Do you feel like the food you eat is pure fuel that powers your system to its full potential, giving you the energy you need to coast through your day, then get a solid, restful, eight hours of sleep at night? Or, more often...do you feel sluggish after eating...like your body is actually drained of energy...and like what you’re eating is actually working against you, instead of for you? Because if that’s the case, you need to realize...that’s the opposite of what food is supposed to do. Perfect Flora wipes out the bad bacteria in your gut which is keeping you overweight, tired, and unhappy. Which means Perfect Flora can help you improve your health significantly. All experience significant improvements...simply as a result of rebalancing their gut bacteria with Perfect Flora. As killing off that bad bacteria can help strengthen your immune system...making you more resistant to illness. If you eat the typical American diet, you need the potent phage in Perfect Flora to combat the bad bacteria in your gut. Then you need a strong phage like Perfect Flora to help you destroy that bad bacteria that’s feeding on all that processed food, artificial sweeteners, and antibiotic-treated meat you’re consuming on a daily basis. So it’s imperative you give your gut the chance to fight back. When was the last time you took antibiotics for an infection or illness? I told you earlier how antibiotics wipe out your gut flora – both the good and the bad – which can take years to rebalance to a healthy ratio. In which case, Perfect Flora can be crucial in helping you restore your system and get it functioning regularly again. If you eat meat more than once a week, you're likely consuming antibiotics which disrupt your gut flora. Perfect Flora can help reverse this damage. Then you’re likely consuming the antibiotics those animals have been treated with...which means it could be having a similar effect on your gut flora as being treated with antibiotics yourself. Finally...because Perfect Flora provides a fertile environment for friendly bacteria to thrive in...it also works fantastically for those who also take probiotics. But that’s only if they work. Without the proper environment to take root in, a lot of those beneficial bacterial strains can end up passing right through you. Meaning just this one strain becomes 70 times stronger in your system when you pair it with Perfect Flora. 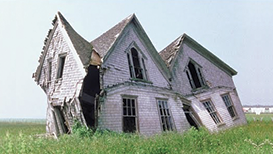 You can’t just build a house right on top of the ground – it won’t hold up. 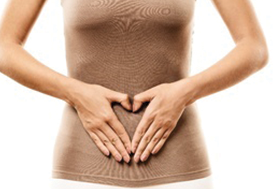 Perfect Flora creates a solid foundation for your digestive system – and your body – to thrive. 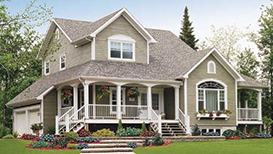 Which will allow your house to be structurally sound, and be your home for years to come. And provides a solid foundation for your good bacteria to create a home of its own...keeping you healthy for years to come. When we are at the capacity to sell in stores, Perfect Flora will retail for $89.95 for a 30-Day supply. … but since you are a loyal Probiotic America subscriber, we'd like to invite you to try Perfect Flora at a special rate for existing customers only. With our special “Loyal Customer” offer, you can get it at the lowest possible price. Best of all, when you order through this offer, you’ll be “grandfathered in” at this price...even if we have to raise costs in the future. Even better: When you invest in a 3-bottle package of Perfect Flora today, you will pay only $41.60 per bottle. That's almost HALF OFF the retail price and...we will even give you free shipping! And when you invest in a Family Pack of 6, you’ll save even more. 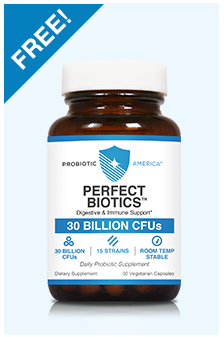 Best of all: Every order of 6 bottles – or any order of 1, 3, or 6 bottles on our monthly “Probiotic America Platinum” Program – comes with a FREE bottle of Perfect Biotics, our incredible 15-strain probiotic formula. These two powerful products form a “1-2 punch” that, in my opinion, is the greatest digestive enhancement combination available anywhere in the world…period. Our proprietary bottling system has been designed to keep your Perfect Flora fresh for a minimum of one year on your shelf. So don't hesitate to stock up and save.... this extremely limited supply of 4,000 bottles WILL go fast. And due to the deep discounts we're offering, our multi-packs of Perfect Flora typically sell out much faster than our single bottles. So when you click the “Get Started” button below and visit our order page, be sure to check out which deals are currently available. You see, this particular phage is a highly sophisticated marvel of bio-engineering...and while it’s extremely effective...it’s also difficult to produce in large quantities. Currently, we have exactly 4,000 units available and ready to ship. We are preparing a fresh supply run, but the limits of production mean it will likely be another 3-4 months before it will be available to the public. So once our current supply sells out...Perfect Flora will not be immediately available. You also will pay the regular retail price...as opposed to the discounted price I’m offering you today. This limited supply is the reason this deal is strictly being offered to our existing loyal customers. And when these 4,000 bottles are gone...we are SOLD OUT. I’d like to invite you to try Perfect Flora for a full three months...without any fear of losing your investment. That's right...take a full 90 days to see how Perfect Flora works for you. Then I urge you to go ahead and send back your empty bottle...and I’ll immediately refund your money. And within minutes, a member of our amazing customer service team will process your full refund and get it back to you that very same day. No hassles, no hard feelings...and you’ll have gotten to give Perfect Flora a try for free. So that just a few days from now, you can begin improving your digestion and feeling the way you’re supposed to feel – fully healthy. So whether you decide to take action here today or not...you deserve to be congratulated on becoming better informed on the problem. If you decide not to start eliminating the bad bacteria in your gut – as well as laying the groundwork for good bacteria to thrive – what you’re effectively doing is surrendering your body to the enemy. All of which can make you sluggish, sick, and overweight. If you DON'T eliminate bad bacteria in your gut, you'll continue to feel sluggish, sick, heavy, and unhappy. And before you know it, what started as some mild indigestion has turned into multiple full-blown health problems. As you may have been suffering not only from digestive issues...but lack of energy, weight gain, or even depression...for a long time now. But the rest of your body will start to follow. Unhealthy gut bacteria will lead to much more serious health concerns. 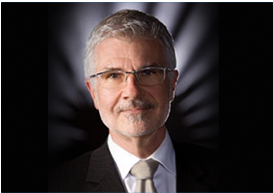 Because with Tom, it happened so rapidly, it set off alarm signals – he knew within days he had to make a change. And the solution is safe, affordable and effective. Just by taking one capsule of Perfect Flora every morning, you’ll be giving your gut the tools it can use to kill off bad bacteria, while at the same time providing a fertile breeding ground for the good bacteria you need to stay healthy. 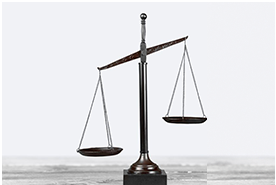 Once your bacterial balance is restored, all your systems begin humming along at full strength. 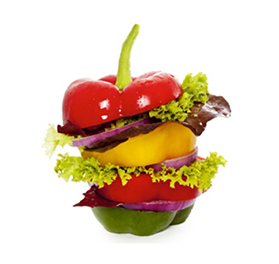 You digest your food properly, ensuring you get the maximum amount of nutrients available. You can enjoy more of the foods you like, without the anxiety that they’ll make you feel sick and sluggish. You may even find yourself slimming down without making significant changes to your diet...as your body begins burning energy more efficiently. 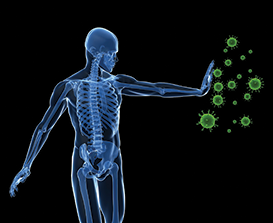 Your immune system strengthens, becoming more capable of protecting you from getting sick. You’ll have more energy – both mentally and physically – allowing you to accomplish more with your day, and with your life. And it all begins with clicking the “Get Started” button below. So go ahead...take that next step...in your health, in your happiness...in your life. I promise you...the rewards are priceless. Thanks for watching here today. I wish you nothing but the best on your journey in health and happiness. Okay, that’s probably because you probably have some questions, which is totally common. Does Perfect Flora have any side effects? Nope. Perfect Flora is perfectly safe for consumption, with no side effects. It’s a bacteriophage, which is composed of proteins, and pose no threat to your health. In fact, phages are what correct the “side effects” of the bad bacteria that’s already in your system. And with our kosher, gluten-free, allergen-free capsules, you can take them no matter what your dietary restrictions. Next question: Do I have to refrigerate Perfect Flora? Nope. Perfect Flora capsules are freeze-dried in a solid state, and will stay that way until you ingest them. You can travel with them, or mail them to a friend with no fear of them going bad. How long will it take to destroy my bad bacteria, and when will I know it’s gone? Everyone’s system is a little bit different, but we feel you should give Perfect Flora at least 30 days to work its full magic, and some folks really start to feel better after 60 days. Many of our clients like to take Perfect Flora with breakfast, as the healthiest way to start the day, but no meal is necessary. And in the event you miss a dose, don’t worry – just proceed as normal the next day. That’s why, if you’re already taking a quality probiotic supplement, I encourage you not to stop. 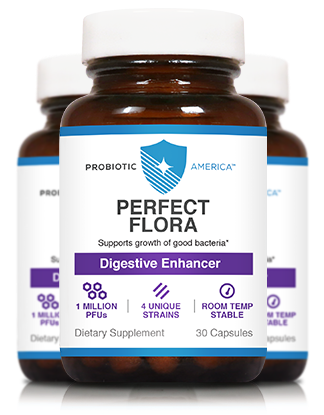 Perfect Flora has the capability of enhancing the digestive benefits of your probiotic – boosting some beneficial strains by as much as 7000% - so you get and stay healthy even faster! I don’t recommend Perfect Flora as a weight loss cure, simply because only around 70% of our clients end up losing weight when they take it...and it doesn’t always happen right away, as you’ve seen in your case. Often, these two things combined can result in a slimmer belly, and lost pant or dress sizes. It’s totally normal, and I get a lot of letters and emails like this. Enjoy! 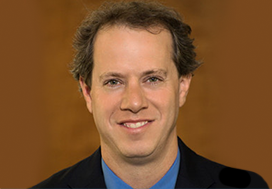 Hey Richard – congrats on feeling younger, healthier, and it sounds like happier! It’s no surprise to me that you’re starting to feel that arousal, as often times when your digestive tract begins performing at its peak, the rest of you follows suit. That can include your sense of smell...and, of course, your libido. It’s amazing the changes that can happen once you allow your body to get the nutrients it needs, and open up the paths to distributing them to the right places. Many report feeling years younger...and it sounds like you’re on that path as well! Is Perfect Flora safe to give to children? I’m sure you know how hard it can be to get your kids to eat healthy, so I consider Perfect Flora an excellent way to ensure your children are getting at least the digestive and immune support they need. Since 70% of the immune system is located in the gut, it makes sense that kids who take Perfect Flora would get sick less often and miss less school. It’s a great habit to start your kids on, and a good way to teach your kids about the importance of taking care of your body, so they go on to live long and healthy lives. I highly recommend it. And the last question: Can I buy Perfect Flora in stores? The answer to this one is no. We deliver Perfect Flora straight to you, the consumer, cutting out the middle man so you save money. And now, with our special “Loyal Customer” offer, you can get it at the lowest possible price. Best of all, when you order through this offer, you’ll be “grandfathered in” at this price...even if we have to raise costs in the future. Click the “Get Started” button above, and place your order now. And let me be the first to welcome you to the Perfect Flora family, and congratulate you on this wise decision to invest in your new, healthier life!